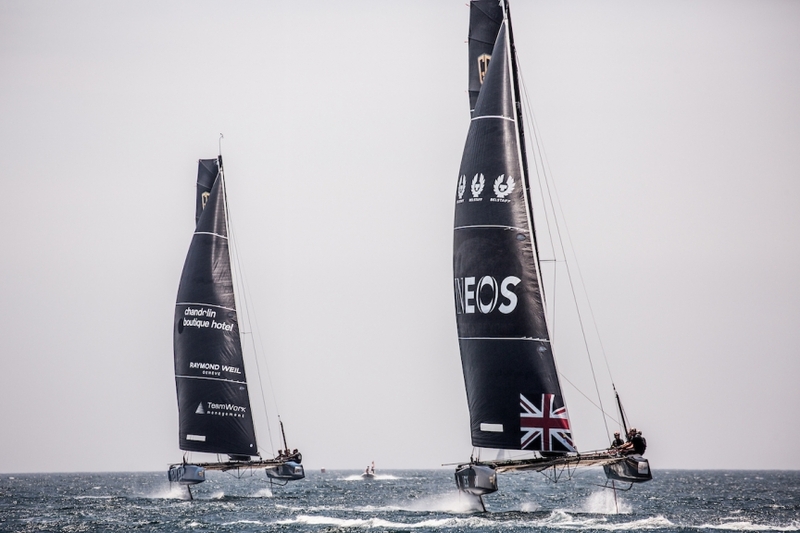 INEOS TEAM UK stepped up for their performance for the final day of the GC32 Lagos Cup to move up the leaderboard and finish their debut GC32 Racing Tour event in third place overall. Lagos, also making its debut on the GC32 Racing Tour, laid on mostly perfect foiling conditions all week with solid breeze and flat water. However, this morning looked to be different with race postponements looking likely due to the forecast of light breeze. 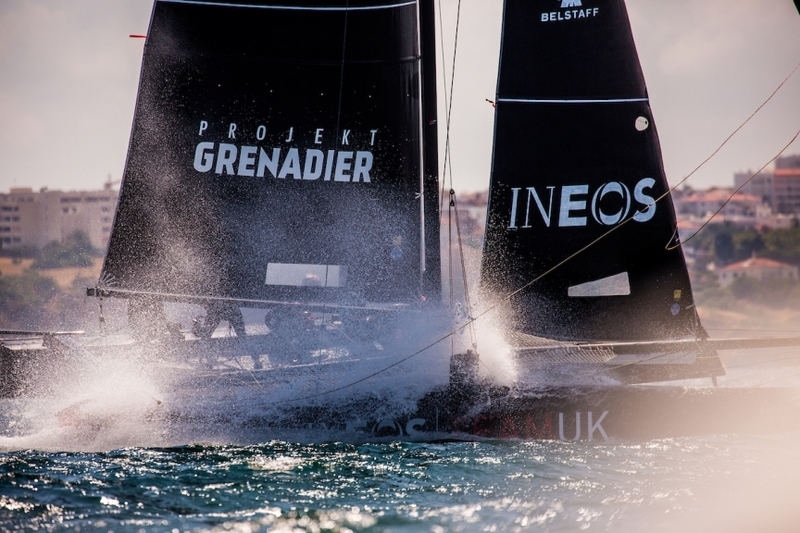 These concerns were quickly forgotten as the eight-strong fleet of GC32 foiling catamarans entered the race course with enough breeze to begin racing and by the final and sixth race it was a near perfect 14-15 knots. After yesterday’s frustrations the British team wanted to put on a solid performance on their last day in Lagos and they didn’t disappoint completing six hard (4, 2, 3, 6, 3, 1) fought races including an exciting finish in the last. Heading into the final race INEOS TEAM UK were in fourth place overall and needed to finish with five boats separating them and their nearest rivals Realteam to take the final place on the podium. After a dominating performance, which saw the Brits leading the fleet from start to finish, the stars aligned with RealTeam coming home in 6th place and the last spot on the podium going to the debutants. 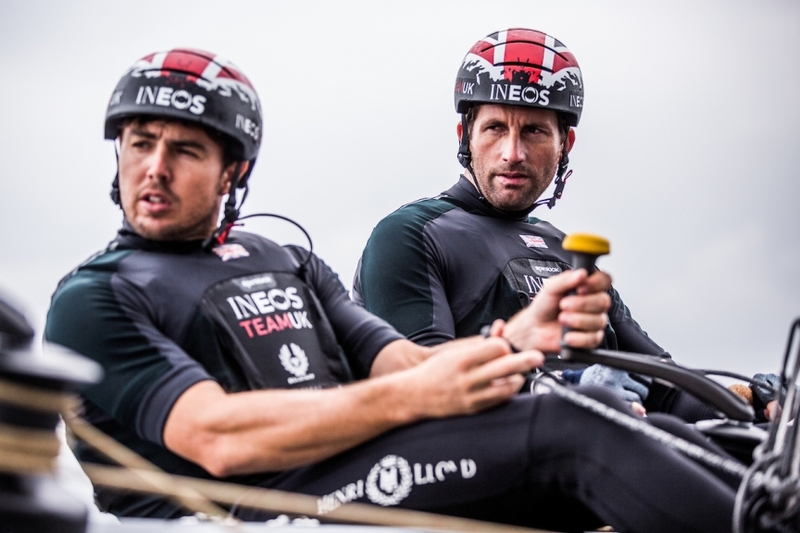 Helmsman, Sir Ben Ainslie commented after racing, “It has been a learning curve for us here in Lagos, but we have showed great persistence to stick together through some frustrating moments and end the regatta on a high. This is why we entered the GC32 Racing Tour, we wanted to get the team back out on the water in a racing environment, work on our boat handling technique and put ourselves under pressure. “We have been really impressed with the standard of competition across the fleet it’s been great racing, to finish third overall was a real bonus. 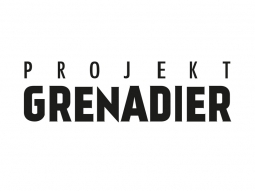 “The team will take a lot from this event and we will have a good debrief session back in Portsmouth to rectify the mistakes and look to make those important gains, we are looking forward to the next event”. The GC32 Lagos Cup was the second event of the 2018 GC32 Racing Tour with eight teams from seven nations now heading to Palma de Mallorca, Spain (31 July – 4 August) for the next event of the Tour.